As she works on her latest project, actor-playwright Stacie Chaiken is occasionally gripped by fear. "I don't know yet if it's going to be a solo play, but every morning I wake up and pray that it's not," she says. That may seem strange coming from someone who has had so much success with one-person shows. Chaiken, who is based in Los Angeles, has toured extensively with successful solo plays such as Looking for Louie, about her quest to uncover family secrets. 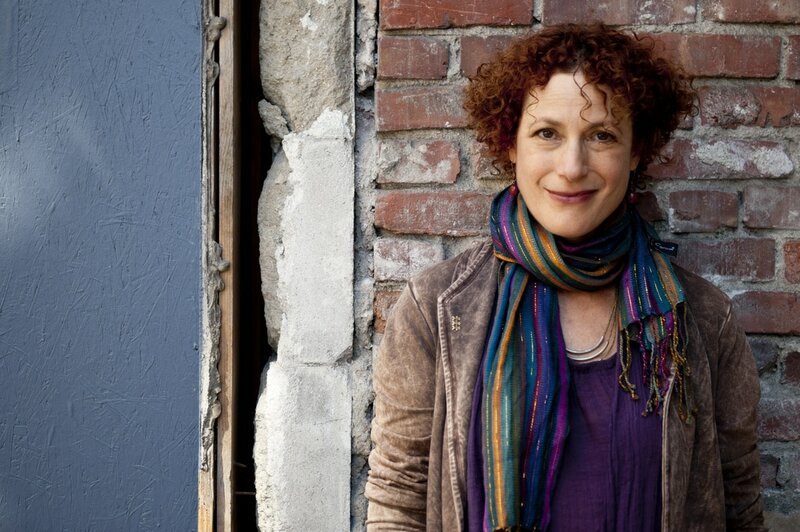 Since 1999 she has taken it to locales from California to Israel; she even teaches a workshop at the Powerhouse Theatre in Santa Monica, Calif., called "What's the Story?," helping others turn their private histories into theatre. So why does Chaiken hope her next play demands multiple actors? "Because it's lonely out there," she says with a laugh. Of course Chaiken is only half serious, but her cry of loneliness helps explode one of the biggest myths about solo shows: They might be small, but they aren't easy -- either to write or perform. They are unique theatrical beasts, teeming with as many challenges as massive musicals or dense classics face. From another perspective, however, solo performers have a number of collaborators: the ones who buy tickets. Says Chaiken, "The audience is your scene partner in a solo piece, and they're wildcards." Instead of fellow actors whose performances are more or less the same each night, solo actors bounce their work off an unpredictable crowd -- and no matter how much the actor has rehearsed, that work must be adjusted to fit the audience's mood. "If you're actually talking to the audience, there has to be a deep willingness to be affected by what's happening in the room," she says. With Looking for Louie, she adds, "even in terms of rehearsal, I knew I wasn't going to learn anything until I did it in front of people." Though Looking for Louie isn't as overtly political as Schofield's work, Chaiken says she has felt the same unity with audiences. "What I heard was that people were connecting to my very specific immigrant story through their own experience," she says. Yet this personal relationship to the material raises another question: When is it time for a writer-performer to let his or her creation go? Chaiken recalls that at first she felt too close to the material in Louie to let others participate in its creation and performance. But when she allowed director Stephanie Shroyer to join the project, her contribution was invaluable. "She had insight on the story that I could not have as the writer and creator," says Chaiken. "That added a dimension and a soul that I could have never seen on my own." The development of a solo piece requires this navigation between the personal stakes felt by the show's creator and the need for assistance. Chaiken concedes, "I think [Looking for Louie] is a show that other people can do. It doesn't need me. It just needs a great actress." Chaiken has been working in the theatre for more than twenty-five years, in a variety of positions. After getting a Masters degree in directing from the University of California at Berkeley, She embarked on a career as a director and actress. She assisted Peter Brook when he staged The Conference of the Birds and The Ik at La Mama ETC, and acted in plays in and out of New York, on and off-Broadway. She started teaching, became an acting instructor at New York's Circle Rep and Moved to Los Angeles and joined the faculty of South Coast Rep in Costa Mesa. She's been a lecturer at NYU's Tisch School of the Arts on "Storytelling and Solo Autobiographical Performance. She was award a Fulbright to teach master classes in acting and solo performance at Israel's Tel Aviv University. She is also a member of the performance faculty of the School of Theatre at the University of Southern California. Yet what she spent most of her energy on was Looking for Louie, a one-person show she created over the course of three and a half years which she has performed in New York, Los Angeles and Israel, where she collaborated with an Israeli musician on a bass score for the piece. Chaiken has become a popular teacher — or perhaps "facilitator is a better term — for those looking to craft their one-person shows. She runs "What's the Story?' which she describes as an ongoing solo performance workshop for writers and performers. "I was working with people privately, and USC asked me to teach a group solo class." She designed a dynamic of "group dramaturgy" that turned out to be an effective way of guiding students into a deeply personal voice. "Sometime you have no idea what you've written, especially when you're writing about your experience. Discovering the kernel of a story is far more difficult when the material is personal to you. You have too much information, and you have to select, distill. When you're creating a story, it's easier. You just create what you need." "We like people to stay around," she says. "So much of it has to do with trust. The group is like a greenhouse. For stories to be uncovered, people must be free to be utterly personal and deeply specific with regard to detail, and listeners have to feel free to ask nosy questions, none of which are answered in the group, although they may or may not get answered in the writing. There's a strict policy of confidentiality. Nothing leaves the room unless the writer wants it to. Chaiken maintains that the group creative process "guides people into the core of the stories that are important for them to tell, here and now. The process is about the discover of story, hence "What's the Story?" Interestingly, Chaiken doesn't think ever actor needs to make a full-length solo show, "but I do find this process to be deeply valuable for any writer or performer. We're learning how to discern what in one's personal experience reverberates for an audience, what is stage-worthy, and how to create an event that hands off our story in a generous, entertaining and transformative way. "That's a useful thing for any of us to know."